Which Are the Best Zumba DVDs for Home Workouts? This Zumba DVD set comes in three versions: ultimate, deluxe and standard. The ultimate kit includes: 12 workouts, 3 music CD’s, a Rizer for toning the glutes and legs, a nutrition program and a training program guide, as well as a cookbook and tote bag for carrying your kit with you. 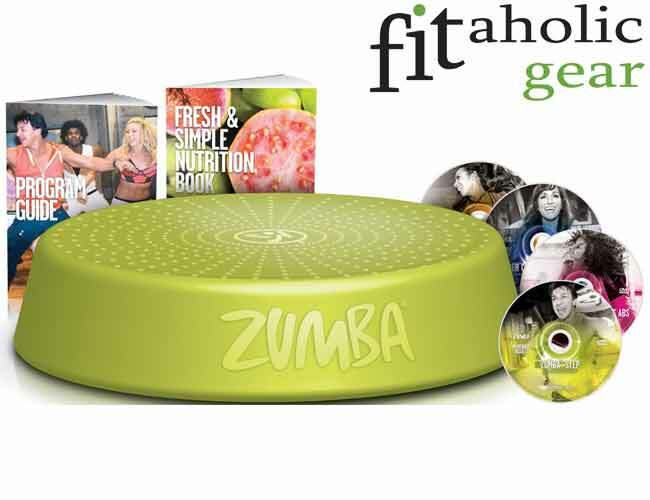 The deluxe kit includes 10 workouts, a Zumba Rizer and program and nutrition guides. The standard kit is sold with 6 workouts, a Rizer, the nutritional and training program and guides. The best thing about this is that is one of the best zumba dvd to lose weight and that it contains so many different types of workouts and additional extras to improve your fitness program. The first DVD is an intro and quick learning guide (40 min) for the basic moves and steps in Zumba, followed by an amazing express calorie burning workout of only 20 minutes. The set also includes a super cardio dance party which includes a 50 minute cardio burst interval workout of 30 second spurts to help boost fat burning and calorie burning. The other workouts are a 30-minute burn, a 15 minute abs bonus workout, as well as the Zumba step workout which is done with the help of the Zumba Rizer included in the package. All workouts can easily be done at home, require very little space, and can result in express toning of the body and weight loss for as little as a couple of weeks of practicing. This is a perfect Zumba DVD kit for beginners and experienced fans which includes 7 DVDs with 7 different total body workout programs with easy-to-follow steps and choreography. It encompasses more than 30 different types of musical rhythms from around the world, including: belly dance, hip hop, salsa and other fun dances. The 7 DVDs in the set are: a step-by-step learning guide, a 45 minute activate workout, a 60 minute full body sculpting “ripped” workout, a 20 minute express high intensity “rush” workout, the 60 minute full length “exhilarate” workout, a “mix” routine with different moves and steps from different cultures and a 60 minute live fitness concert DVD. The kit also includes a pair of Zumba toning sticks, to help sculpt your body. The workout programs are all fun and will help you get into shape, stay in shape and get energized and well exercised in the comfort of your own home. The DVDs can be played with music only or with verbal cuing, depending on your preferences. Perfect for a gift, it will make losing weight and exercising as enjoyable as possible! This Zumba 101 DVD kit includes introductory instructions and workout sessions by the creator of Zumba fitness – Alberto Beto Perez, which is definitely worth having if you are new to Zumba. The first workout is a step-by-step introduction to the basic steps of all four main rhythms included in Zumba. The second workout is an enjoyable and easy-to-follow Zumba class of 30 minutes which will make you sweat and start burning calories quickly and easily. So, if you are fed up with using the boring treadmill and simply dislike going to the gym, join the millions of other people who have chosen Zumba fitness as their way of getting fit, staying active and having fun at the same time. Get this introductory kit and make your first steps in Zumba with the help of the originator of this amazing fitness program himself. If you are a member of the one and only baby boom generation and want to find a fun, safe and easy way to get back in shape and stay active, without leaving the comfort of your home, then this Zumba DVD set is made especially for your generation is the one for you. The kit includes three DVDs. The first one is an easy-to-follow step-by-step introductory guide to the basic steps and moves in Zumba fitness. The next one is a cardio workout DVD and the third one is a “gold-toning” workout DVD. Moving from DVD 1 through the other 2, you will feel revitalized and healthier than you have felt in years. Plus, this type of fitness doesn’t actually feel like exercising, but rather is a fun way to burn some calories and tone your body. The kit includes special Zumba toning sticks and a program guide and a living guide written especially for people in their 60’s and 70’s. This kit includes 5 excellent Zumba workout DVDs for upper body sculpting and calorie burning. 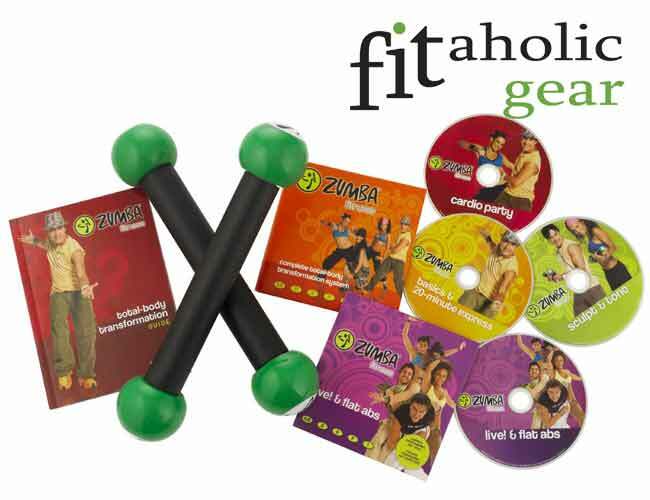 The disks are: toning 101 amazing abs, target and toning, Zumba Sentao, a 30 minute burn and a live fitness concert DVD. The workout programs are designed to exercise and strengthen your arms, shoulders and your back. The kit also includes two 2.5 lb. Zumba toning sticks for an extra toning effect on your arms, shoulders and back during the workouts. The Zumba sentao workout is a workout for fat burning while dancing with a chair as a partner. The workouts are fun and easy to follow. The music is captivating and will make you forget you are actually exercising. It feels like fun all the time with this amazing system. Along with the 5 disks and the pair of toning sticks, if you purchase this kit you will receive a detailed training program guide as well as a nutrition guide to help you get into shape and maintain it quickly and efficiently. This is another must-have Zumba DVD for begginners as well as for those with experience in these fitness programs. The kit includes 5 DVDs, including different workouts: an introductory program with the basic steps and moves, followed by an express 20 minute workout. There are a super cardio dance party, high energy live class led by the creator of Zumba, latin bursts featuring merengue, salsa and raggaeton plus a global burst. The kit is said to be able to help burn those calories, shed the pounds and tone the entire body while enjoying the great music and various rhythms. It is definitely a great way to get into shape, maintain your good form and all this while dancing at home under the instructions of the creator of Zumba – Alberto Beto Perez and his assistants. There is a total body transformation guide also included in this set, where you can read all about the training program, how to increase its efficiency and how to get the best results quickly. 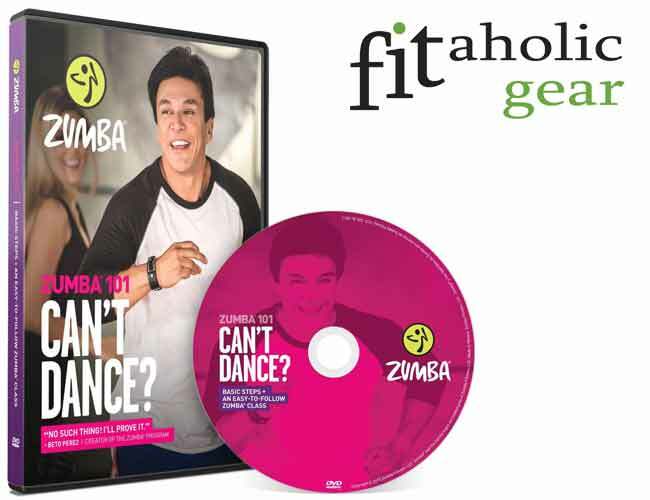 We couldn’t find one-fits-all set of DVD that we can wholeheartedly call the BEST zumba DVDs. Why? Simple – people come with different tastes, needs, and preferences. Some are more advanced than others. Some prefer faster rhythms, some like to dance a bit slower. We’ve strived to find something to suit every taste. Check the workouts above and choose the one that is closest to your heart. After some time (and a lot of sweat) pick another one. The options are literally endless. Just don’t forget one thing: start now. Choose one of the disks above, buy it and use it. You don’t need much to exercise but the bare necessities: a room with enough floor space so you can move around freely. optional: neon top and high visibility pants. These are not necessary, but will greatly affect your mood in a positive way.